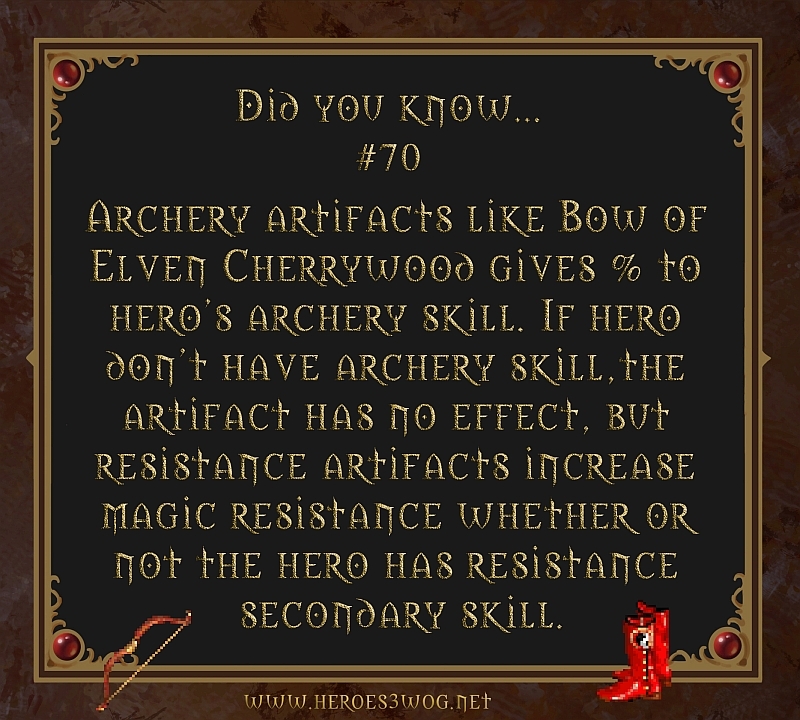 # Archery artifacts like Bow of Cherrywood gives % to heroes archery skill. If hero dont have archery skill, the artifact has no effect, but resistance artifacts incrase magic resistance whether or not the hero has resistance secondary skill. 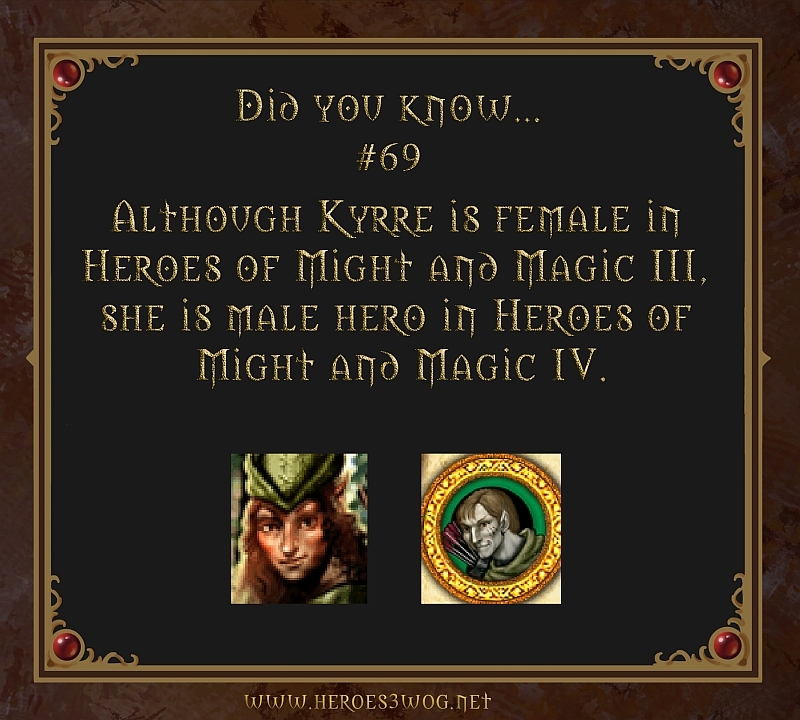 #69 Although Kyrre is female in Heroes 3, she is male hero in Heroes 4. 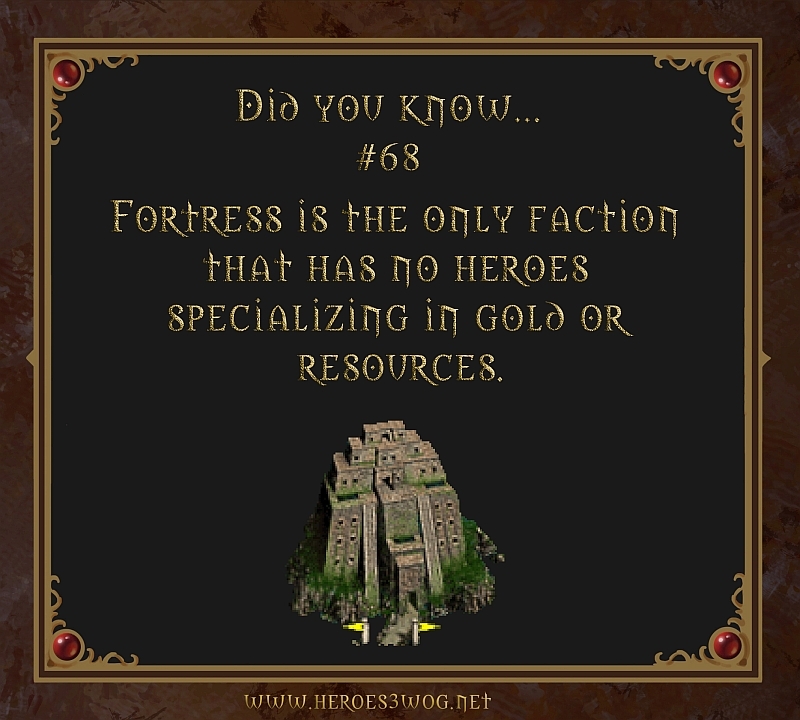 #68 Fortress is the only faction that has no heroes specializing in gold or resources. 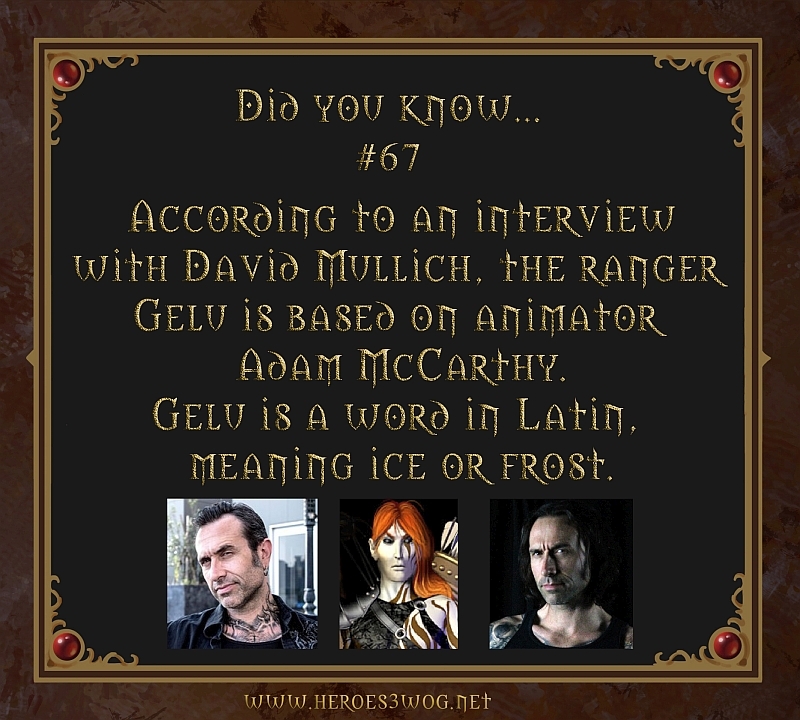 #67 According to an interview with David Mullich, the ranger Gelu is based on animator Adam McCarthy. Gelu is a word in Latin meaning ice or frost.